Quickie Summary: State “Trunk” Highway 243 is a VERY short connector road from Osceola, Wisconsin to Minnesota, where it becomes MN 243 and connects west to MN Hwy 95 and I-35. We just included it because it was fun, easy, and quite a pretty drive for 3/10 of a mile. 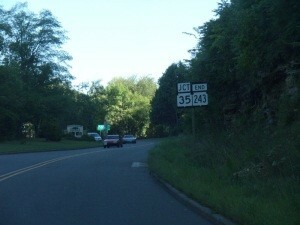 The Drive (East to West): Highway 243 starts at Highway 35 in Osceola (pop. 2,728), a beautiful St. Croix River town founded in 1844 at the foot of Osceola Bluff, a prominent local landmark the Native Americans once followed as part of the “ginseng trail.” The bluff is over 100 feet high and Highway 243 wraps around it on its very short journey. 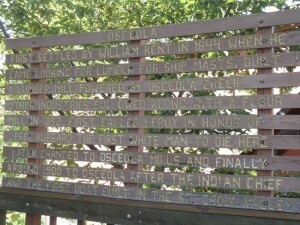 We’ll get back to Osceola, but let’s first traverse this less-than-a-half-mile route! 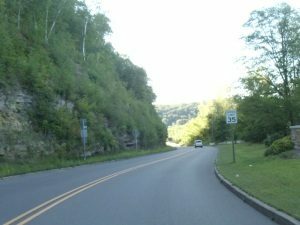 Highway 243 basically curves under Osceola Bluff, which is to the south and west; to the north and east lies the town and Cascade Falls, which is definitely worth a stop once you’re back. 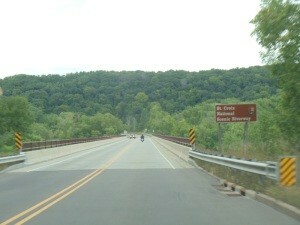 Around the curve, you happen upon the bridge over the St. Croix River almost immediately. The views up and down the river are lovely, especially on a sunny day – or the day after a big snow. The natural beauty of the area led to its being named the St. Croix National Scenic Riverway, once of the first such designations, in 1968. 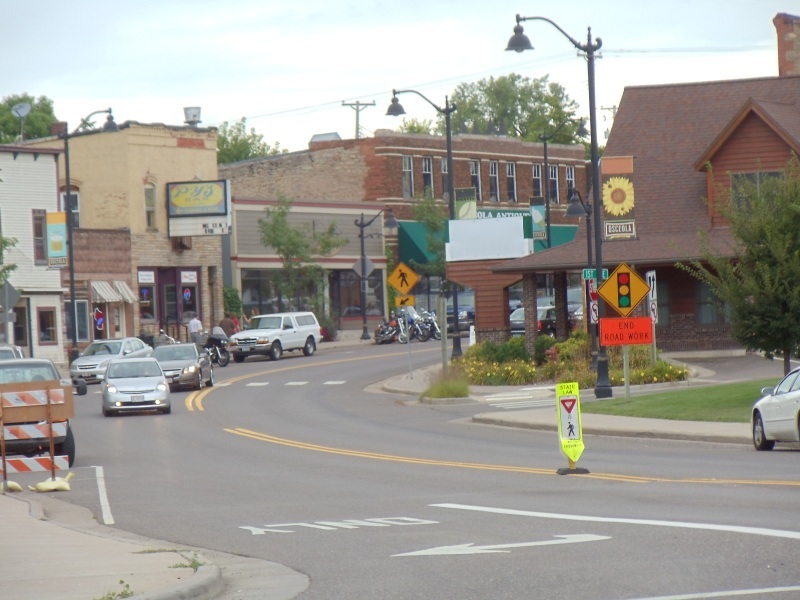 After that briefest of brief drives, Wisconsin Highway 243 becomes Minnesota Highway 243, lasting for another mile and a half before ending at Minnesota Highway 95, the west-of-the-river counterpart to Wisconsin’s Highway 35. 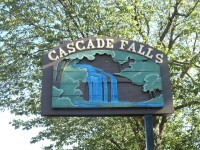 It runs from Prescott in the south to St. Croix Falls in the north. Well, that was so short, let’s go back! Below the video is more pictures and description. 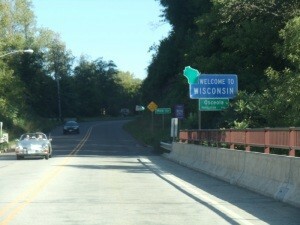 Coming in from Minnesota (above), you immediately see the Wisconsin welcome sign, followed by the Polk County sign, followed shortly by the “end 243” sign (below). 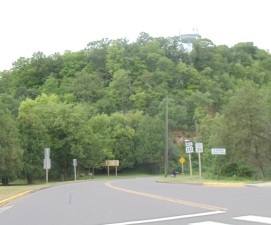 The towering Osceola Bluff is to your right; the Osceola welcome sign will be to your left, and the road ends at Highway 35. 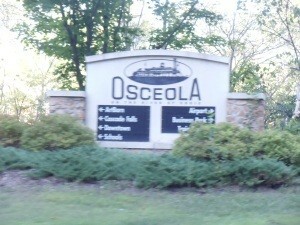 And you’re heading into the heart of Osceola. Highway 243 is a connector road from Minnesota, over the St. Croix River, to Highway 35 in Osceola. The Wisconsin leg of it lasts only 0.3 miles. We just thought we’d do a quickie video of it. 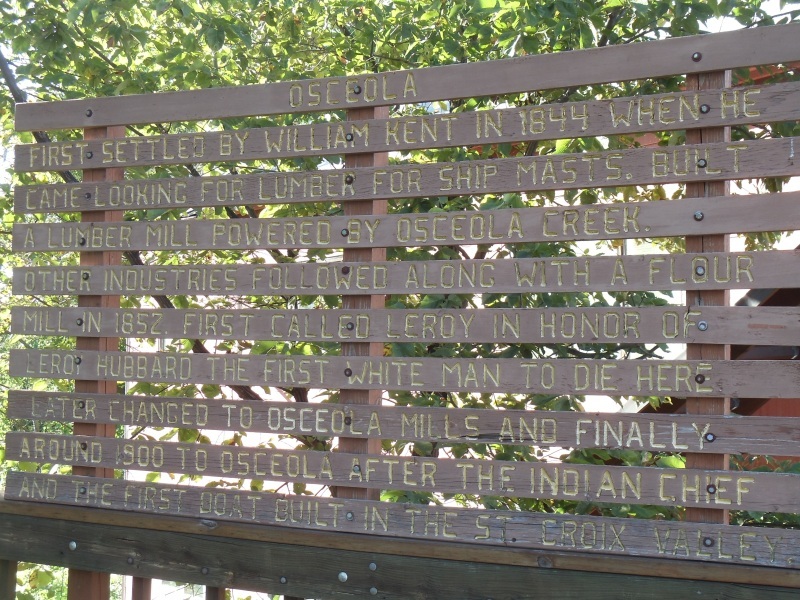 The welcome sign for Osceola points you to various sights; a quick right on Highway 35 will bring you to the Osceola Railway, right on the other side of the bluff and the railroad track. Osceola (pop. 2,728) is a signature town along the St. Croix National Scenic Riverway, a 255-mile federally protected corridor, Osceola is home to the Osceola & St. Croix Valley Railway, a heritage railroad that offers 90-minute excursions from May through October through the beautiful scenery along the St. Croix and surrounding areas. You can also check out the St. Croix ArtBarn (715-294-2787), a restored century-plus old dairy barn that now includes an art gallery and 180-seat performance theater. Each year, Osceola hosts events like Rhubarb Days and Wheels & Wings. 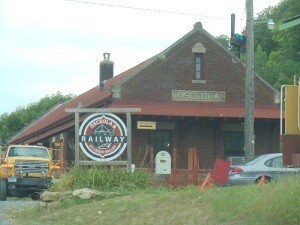 Downtown Osceola along Highway 35 just north of 243. Cascade Falls is just behind this shot. 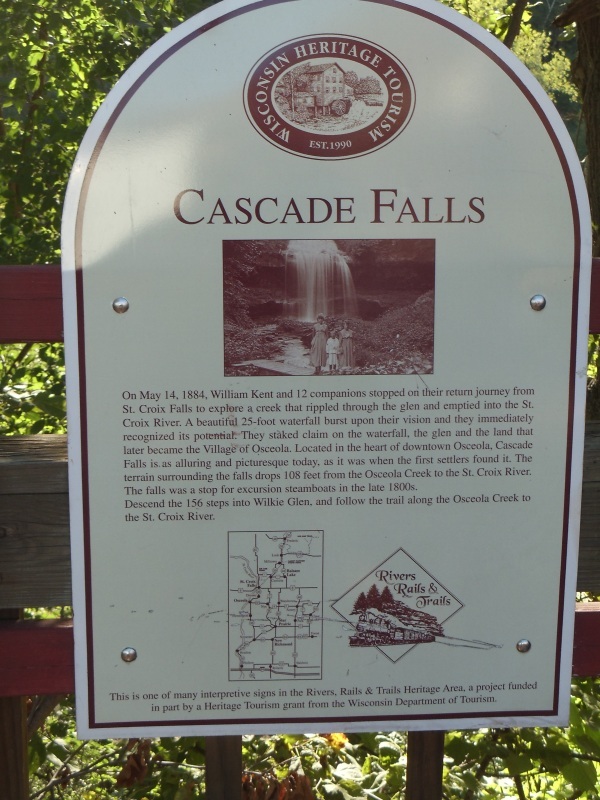 Osceola offers plenty of shops, cafes and historic buildings along with Cascade Falls, the railway, and the beauty of the St. Croix. 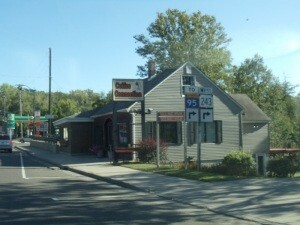 As you might guess, this is a popular tourist destination, especially for Twin Cities residents. 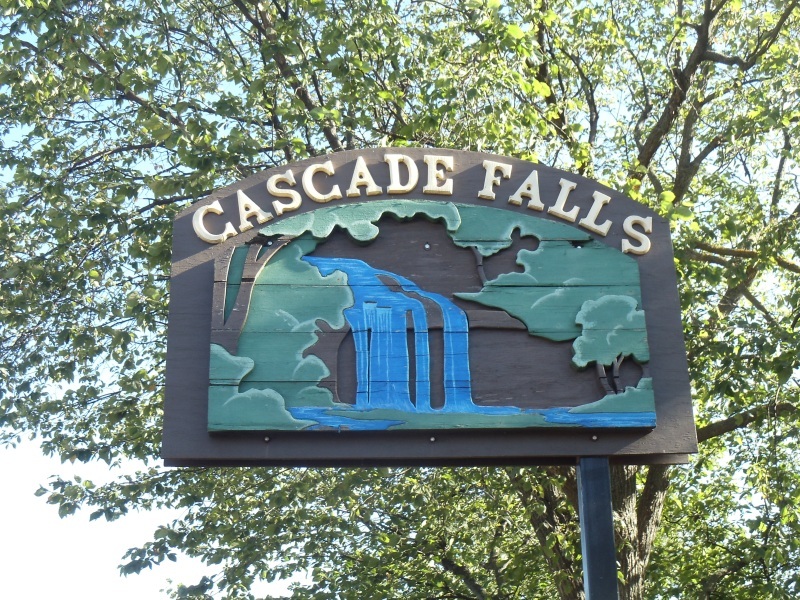 While in Osceola check out Cascade Falls, a beautiful 25-foot waterfall where Osceola Creek drops on its way into the St. Croix River. This is part of the St. Croix National Scenic Riverway. 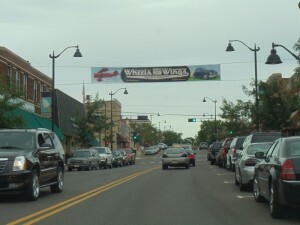 Part of Osceola’s downtown strip along Highway 35 with the city’s water tower towering – if you will – in the distance. 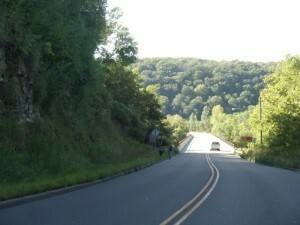 • Highway 243 is the shortest regular state trunk highway in Wisconsin, at 0.3 miles... less than 1,000 yards. 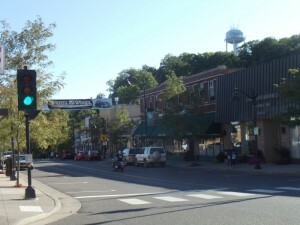 • Minnesota's counterpart across the river is also Highway 243, one of the shortest routes in THEIR state highway system.